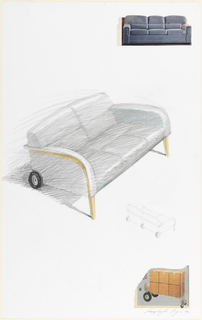 See more objects with the tag circles, industrial design, radios, domestic interior. This is a Drawing. It is dated June 9, 1946 and we acquired it in 1994. Its medium is graphite on board. It is a part of the Drawings, Prints, and Graphic Design department. 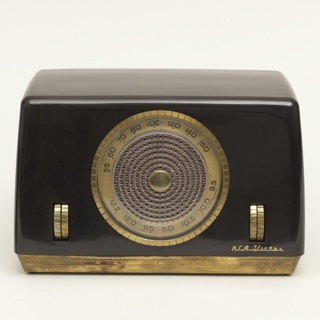 Mirza's pentagonal radio design features a pointed, convex face with concentric lines reminiscent of a bull's-eye, two dials protruding from either side of the circle, and the number "90" at the top. 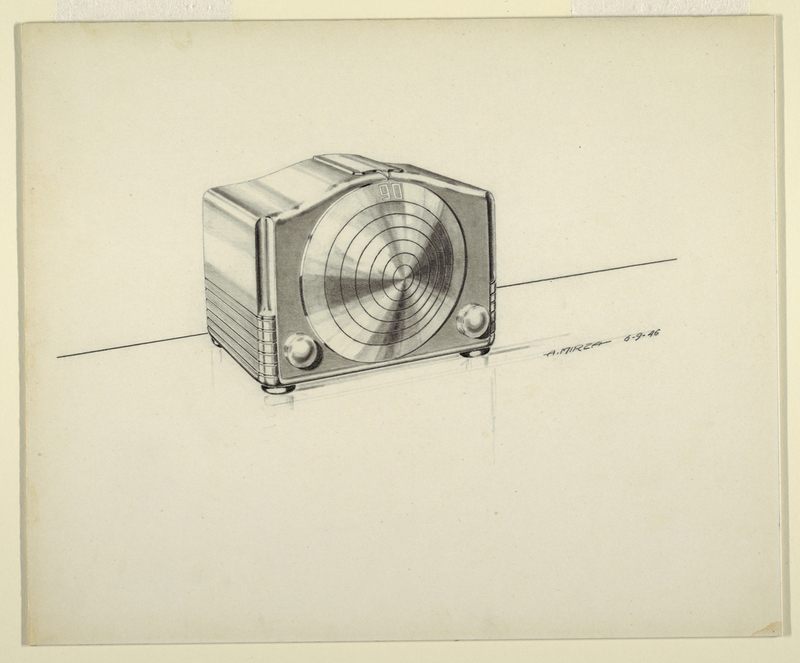 This eye-catching drawing emphasizes the unique, multi-dimensional features of the radio through careful shading. This object was donated by Max Pine and catalogued by Julie Pastor. It is credited Gift of Max and Barbara Pine.